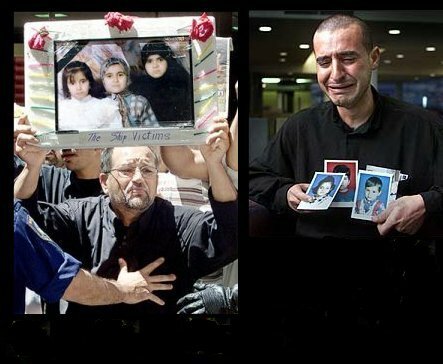 In 2001, Mohammad Hashim Al Ghazzi was in Australia on a temporary protection visa which did not allow his family to travel to Australia to join him. Desperate, his wife and three young children and ten other family members boarded the ill-fated SIEVX. All drowned. Fourteen years later, now preferring to be known as Mohammad Hashim Abo Roma, these are his thoughts. When I was in Iraq, I had dreams to escape from all my problems which were because of political and economic injustice, and the folly of Middle Eastern leaders. During two years in a harsh Iraqi prison because of my political opposition to the policies of Saddam Hussein, I suffered psychological and physical torture that harmed me and my family. 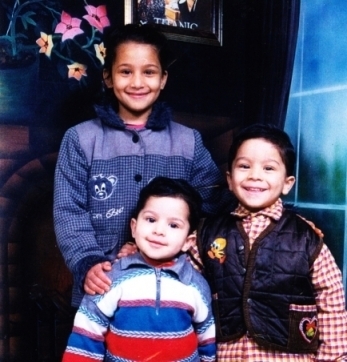 After I came out of prison I fled to Syria with my wife and children. I now carry the memories of the tragedies of my dreams; my dreams to find the right place for me and my family, a place that was stable and safe, where we could live a happy life free from pain. But we did not find what we were looking for. We faced the same but different problems. The economic situation in Syria was very difficult, and the longer we stayed as refugees in Syria it was an unstable political situation for us, like in Iraq. We had fear, anxiety, tension and oppression. It seemed to us that relations between Iraq and Syria were improving and the risk for us, being illegal refugees in Syria, grew. Then I decided to escape to Australia in order to find what I am looking for, and I left my family in Syria. Because of the financial situation I could not pay for a trip for all of us. Alone I entered a ship of death to face an unknown fate. I arrived safely in Australia. I took a deep breath and felt overwhelming joy, believing that I had found freedom, and was away from the tragedy and injustice that was in the Middle East at the hands of its rulers. But my feeling was wrong. I did not find freedom or equality in Australia. Australia was the start of new suffering but this time on my own. 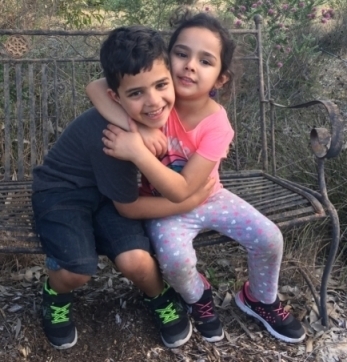 After a period of a year in detention, with my family in Syria during that time, I did not know at first about the decisions the Australian government had made about us refugees. They gave us no right to travel, and no right to bring our families to Australia. They did not let us study. The gap between normal and tragedy grew as I got older. In Syria my family was facing economic pressures and were in danger as illegal refugees there. I was in Australia under pressure of a temporary protection visa. My family and I felt trapped and blocked and there seemed to be no solution but that they face the same fate as me. They boarded the ship of death on their way to Australia. They left my life without a farewell; they went forever without return; we did not embrace, we could not say a final goodbye to each other. They were gone without trace. Nowhere to visit them, when I miss them or when I want to talk to them, or buy them gifts and toys to play with. They have gone under the ocean. They did not find freedom in the place they went to. This is the folly of politics and rulers everywhere. I am remarried now and have children again but I am still looking for a place for me and my new family to feel safe and secure. I have lost perhaps forever what it is like to know the true meaning of safety. WHILE we mourn the dead children of MH17 and Gaza, let us remember the dead children of SIEV X. That's the name, the infamous name given to a nameless Indonesian boat that left Bandar Lampung on an October day 13 years ago � and was to become the name of a great tragedy when, a day after its departure for Christmas Island, it sank in a storm 70km south of Java. It created a storm of its own, occurring in the middle of John Howard's re-election campaign. Arguably it helped him win it. The day we learnt of SIEV X's sinking I thought the disaster would break our hearts and change our ruthless policies towards asylum seekers. Instead it hardened them. The death toll was 353, of whom 146 were children and 142 were women. We were complicit in those deaths, yet we did not hang our heads in shame. Instead we voted for even tougher policies. The human cargo recalled the cruel stacking on a slaver: 421 people crammed onto a boat a mere 19 metres long. Like many of the other SIEVs � the acronym stands for Suspected Irregular Entry Vessel � it leaked like a sieve. Like many others, it was doomed. This one sank in waters that Brandis-speak might describe as "disputed". International waters but within Indonesia's search-and-rescue responsibility, and also within Australia's aerial border protection surveillance zone. The Indonesians failed the victims of SIEV X, but so did we. We claimed ignorance and poor weather as excuses for failing to identify or help the stricken vessel. The subsequent Senate Select Committee inquiry into "a certain maritime incident" (as bizarre a euphemism as any ever coined by a bureaucracy) mainly focused on a different scandal � "children overboard" � but its terms of reference extended to SIEV X. The report was unflinching in its findings. "It is extraordinary that a major human disaster could occur in the vicinity of a theatre of intensive Australian operations and remain undetected until three days after the event without any concern being raised within intelligence and decision-making circles." The policy of "stopping the boats", whatever the political or human costs, and the policy of putting asylum seekers into concentration camps (and I use that term accurately � check your Oxford Dictionary) has remained bipartisan. One of the reasons I opposed the leadership (sic) of Mark Latham is that he wanted to out-Ruddock Ruddock, while neither Kevin Rudd nor Julia Gillard showed an iota of moral courage. We do not offer refuge. We do not offer asylum. We do not offer amnesty. The Coalition continues to offer barbed wire, not the light shining through. And Labor's light on the hill has been extinguished. The SIEV X was a tragedy, for the victims and their families. It was, and remains, a tragedy for this nation, too, reminding us that the White Australia policy lives on. On the 13th anniversary of SIEV X tomorrow, many would like to attend a service at Canberra's SIEV X memorial. A memorial that Howard fought to prevent being erected. Might I suggest you light a candle at home? Phil Ruddock might lend you his. The notebook is blue, the spine reinforced with tape. The covers are fraying at the edges. The pages list every person assisted by the Asylum Seeker Resource Centre since June 2001, the month it was opened. The notebook is full. It contains 7579 names. Pick any name at random and Kon Karapanagiotidis, chief executive and founder of the centre, knows the story. A second notebook is now being filled. In the 13 years since the centre opened, it has helped almost 10,000 people. Name number 1259 is Amal Basry. She was one of 45 survivors of a capsized fishing boat that became known as SIEV X. Three hundred and fifty-three asylum seekers drowned when the boat sank en route to Christmas Island on October 19, 2001. Amal was rescued after clinging to a corpse for more than 20 hours. She told the tale of the sinking many times, with audiences ranging from one listener to a Melbourne town hall packed with more than 2000. She would get out of her sick bed to tell it. She spoke of the "children like little birds floating on the water". She was condemned to bear witness. In a cruel irony Amal died of cancer in 2006. Her tale is a reminder of the courage it takes to risk the seas in search of a new life free of oppression. It is also a reminder of the inhumane treatment by the Abbott government of asylum seekers who continue to undertake the journey. The boats may have stopped, but those who have made it here in recent years are living in hell. There were many tears shed in Federal Parliament over lives lost at sea, but no tears for those who remain incarcerated in brutal offshore detention centres on Nauru and Manus islands. Nor for those imprisoned on Christmas Island and in centres on mainland Australia. No tears for the thousands in community detention and on various forms of bridging visa. No acknowledgement that indefinite detention is a recipe for depression, suicide attempts and insanity. Countless studies have reaffirmed this. Asylum seekers may no longer be dying at sea, but they are suffering on land. And some are dying on land: Manus Island detainee Reza Barati, beaten to death, and fellow detainee Hamid Kahazaei, a victim of medical neglect. And out on a bridging visa, in community detention, Leo Semmanpillai, who died of self-immolation. In all, more than 30,000 asylum seekers remain in limbo, stripped of hope. Denied a future. With Coalition government plans to reintroduce temporary protection visas, this uncertainty is set to continue. Even babies born to asylum seekers in Australia are to be deemed unauthorised maritime arrivals. Consider this: of the 45 SIEV X survivors, those who were resettled in other countries immediately received permanent residency. It was understood they had suffered enough. In contrast, the seven assigned to Australia were placed on five-year temporary protection visas. Amal Basry would wander the streets at night, unable to stop the recurring nightmares of her ill-fated boat journey and of the tyrannical regime of Saddam Hussein that claimed the lives of family members. As she told me many times, her state of panic was intensified by her temporary status. She had become a living ghost. In stark contrast to the actions of the Federal government, the Asylum Seeker Resource Centre provided Amal refuge. She received trauma counselling, medical assistance, material aid and legal representation. Above all, her story was acknowledged, her courage recognised. The centre represents the other side of the equation. Refugees are welcomed. They are helped back on their feet in ways far too numerous to list in a column. Volunteers worked round the clock earlier this year to relocate the centre in the abandoned old City Mission in Nicholson Street, Footscray, turning it into a vibrant centre of refuge. The centre's services are expanding, with a shift towards empowering asylum seekers through innovative employment schemes and businesses. Its many donors, volunteers and staff are on the frontline in maintaining Australia as a vibrant, non-racist, multicultural nation. Yet, as Kon points out, many staff are in a state of grief and anger at government policies, and the despair they are inflicting. At the moment it's the worse it has ever been for asylum seekers, he says. October 19 is a day to reflect on their plight. And on the fact that despite talk of orderly processes, the Coalition government has cut its refugee intake by more than 30 per cent, at a time when the need is greater than ever. Australia accepts just 0.3 per cent of the world's refugees, making us 67th relative to our population, and 74th relative to wealth. The date should be designated boat people day, a time to share stories and acknowledge that apart from indigenous people, we are all, give or take a few generations, a nation of immigrants. The Asylum Seeker Resource Centre is a house of stories. Even the walls speak. They are adorned with larger-than-life photos of asylum seekers' faces, accompanied by accounts of their journeys. In mid-2005 Amal was in hospital receiving treatment for cancer. The nurses heard her screaming. When they ran to her bed, she was clutching her mobile. She had just been informed of receiving permanent residency. She was ecstatic. "I am a free woman in a free society," she kept repeating. She was finally at home, her brave journey completed. Meanwhile, the names in Kon's second notebook are rapidly mounting. Arnold Zable is a Melbourne writer. He tells the story of Amal Basry in his most recent book, Violin Lessons. The Abbott Government's tough new border protection regime - Operation Sovereign Borders (OSB) - has bumped right up against the most bizarre tragedy to date. An asylum seeker vessel sailed for four days and ended up sinking about 50 metres off the coast of Java, nearly as far away from Christmas Island as when it started. When the search was called off, dozens of bodies had been retrieved including many women & children, and an unknown number remain missing. It is believed that around 81 people were on the boat when it foundered and more than 50 lost their lives. More than a week since the drownings, details remain sketchy and contradictory. This sinking is unlike any other we are aware of � it needs to be investigated in order to determine how and why such a strange and tragic incident could occur. Chillingly, the deaths on this boat were the first since the introduction of Operation Sovereign Borders. 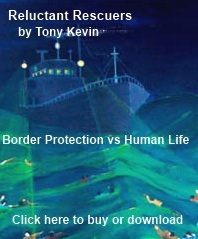 Questions must be asked about what if any role, direct or indirect, Australia's military style border protection policy played in this shocking incident. A partial timeline of what Australia knew of the event was provided three days after the sinking by Vice-Chief of the Defence Force, Air Marshal Mark Binskin at the weekly OSB Media Briefing. (It is important to note that Australian authorities have not made public the coordinates received from the boat at any time in their briefings.) Details of the actual voyage included here have been gleaned from media reports. The boat is reported to have departed Indonesia from Pelabuhan Ratu in Banten province on Monday 23 September and foundered four days later on Friday 27 September, sometime between 10am and midday Jakarta time very close to Agrabinta beach on the outskirts of Sukabumi, West Java. Survivors claim they were escorted to the departure point by men in uniforms. The vessel was in very poor repair, there were no life jackets and no food was provided. One survivor said he was given only one 600 ml bottle of water during the entire journey. Curiously the captain did not set a direct course for Christmas Island but meandered in sweeping circles, 'left, left, left,' a survivor described. Christmas Island is about a 36 hour trip from Pelabuhan Ratu but after four days at sea the boat was not much closer to its destination than when it first set out. In another odd twist, it appears that passengers on the boat contacted Australian authorities between 3 and 5 hours before the sinking and gave GPS coordinates which placed the boat about 90 miles away from the sinking position. It is unlikely that the boat could have travelled this distance to the sinking location either adrift or with the engine functioning in that time and suggests that the passengers may have accidentally given the wrong location. What were the Australian authorities doing during this event? The day of the Agrabinta sinking was an extremely busy time for OSB. In the space of twenty four hours two boatloads of asylum seekers were rescued by Australian Border protection ships, the boats burnt at sea, the passengers returned to Indonesian waters and transferred to Indonesian authorities. In recent years it has been extremely rare for asylum seekers rescued close to Indonesia by an Australian Border Protection Command (BPC) vessel to be returned to Indonesia. The usual practice has been that asylum seekers rescued by us close to Indonesia have been taken to Christmas Island. 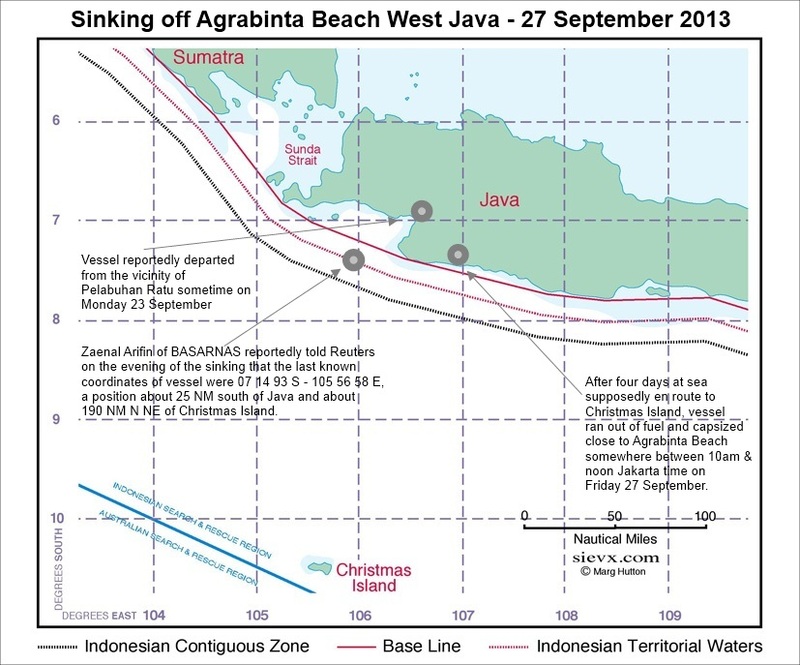 We cannot be certain of the exact time that the Agrabinta sinking occurred. As mentioned earlier, recent reporting out of Indonesia indicates that the boat sank about 50 metres from shore on Friday between 10am and midday Jakarta time (1-3pm AEST). If this is correct, then according to the OSB timeline Australia had coordination of the rescue effort for between five and seven hours prior to the sinking. We know that at 10.41am AEST (7.41am Jakarta time and some two to four hours before the time of the sinking) the Australian Maritime Safety Authority (AMSA) contacted Indonesia's Search and Rescue Agency, BASARNAS and attempted to pass coordination of the rescue to the Indonesians. BASARNAS refused. Why did BASARNAS refuse to coordinate the rescue of this boat which was so very close to the Indonesian coast line? Was it in any way connected to the fact that it had already agreed that same day to accept two boatloads of rescued asylum seekers? Did the people aboard the doomed boat lose their lives because they fell into a fissure that may have opened up between Australian and Indonesian Search and Rescue organisations? When did BASARNAS finally accept coordination of the rescue effort? 'What a stupid thing for Basarnas to accept the refugees and asylum seekers from the Australian Navy under the pretext that they were found in Indonesian waters. It reflects stupidity, not hospitality,' he said. There are many other questions concerning this tragedy. �	If the boat was at sea for 4 days, where exactly was it during this time and why? Did it turn in sweeping circles close to the coast as suggested by some survivors or did it get a fair distance to Christmas Island and then turn back? At what point did it run out of fuel? Was the engine still running when the boat made telephone contact with Australian authorities? �	What was the role of the Indonesian crew of the fishing boat? What is the truth of reports of the crew deserting when it became apparent it was sinking? �	Did Australian policy have any influence on how this tragedy played out? If Australia's proudly belligerent border protection policy continues to encounter stubborn resistance from Indonesia with regard to accepting coordination of search and rescue events involving asylum seeker vessels close to its coastline can we expect to see more bodies wash up on the shores of Java?